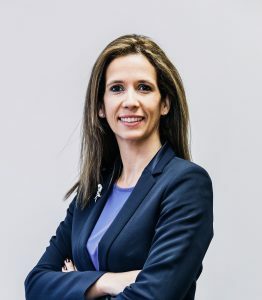 Born in Lisbon in 1980, Joana graduated in Law at Lisbon University Law School in 2003 and after that did her training with Armando Henriques, Ana Cristina Pimentel & Associados, a law firm specializing in Transport Law in Lisbon. Qualified as a lawyer with the Portuguese Bar Association in August 2005. She did her Post-Graduate studies in Maritime Law and also Mediation. Joana worked with the Association of Lisbon Port Operators as the General Secretary and the Lisbon Stevedores Pool Association as President of the Board of Directors between 2011 and 2014. Since 2010 Joana has served as Executive President with the Portuguese Freight Forwarders Association. She gives legal advice and training on several matters related to Transport Law and International Trade. Joana is a native Portuguese speaker and is fluent in English.